Hello there, I am sure you have noticed that the Clearly Besotted Stamps release had to be delayed this month but I am sure you will agree by the end of the week that it was worth the wait! The DT will be sharing teasers with you for the rest of the week and the products will be available on Saturday 10th May at 10pm BST. My card today uses two new sets - An Apple A Day and Diagonal Stripes. I first stamped the diagonal stripes stamp along the bottom of a 4½" x 3¼" card base with PTI Pure Poppy ink and then rounded the corners with my corner chomper. I then took a separate piece of white CS and stamped the apple with Pure Poppy ink and the core with New Leaf ink. I took the already released Apple Die and cut this out and then added a ton of Glossy Accents over the top. This was added to the card base and then the sentiment from the same set stamped below ink Memento Tuxedo Black ink. 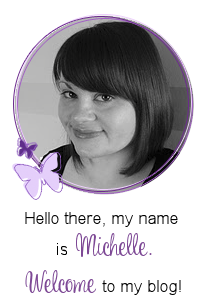 So cute Michelle - thanks for making me feel so welcome - have really enjoyed Guest Designing with all you fabulous ladies! 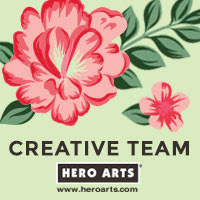 Gorgeous CAS design. I love your delicious red apple. 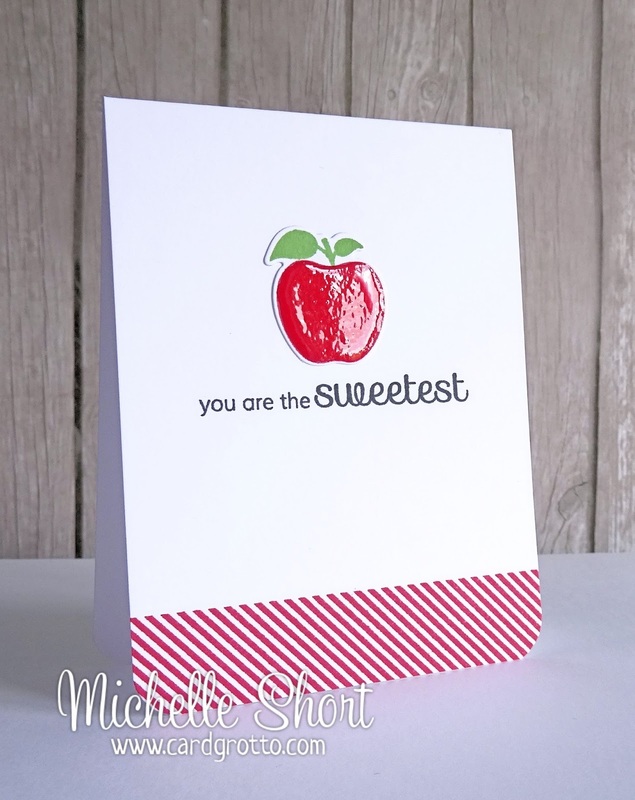 Sweet, fresh, fun - what a wonderful card to showcase the new CB apple and diagonal stripes! Simply stunning! Such a sweet card!! The apple looks great with the glossy finish!! Love this sweet apple! card. Stunning card, Michelle! I love the bright shiny apple with the red diagonal stripes...so crisp, clean and fabulous!